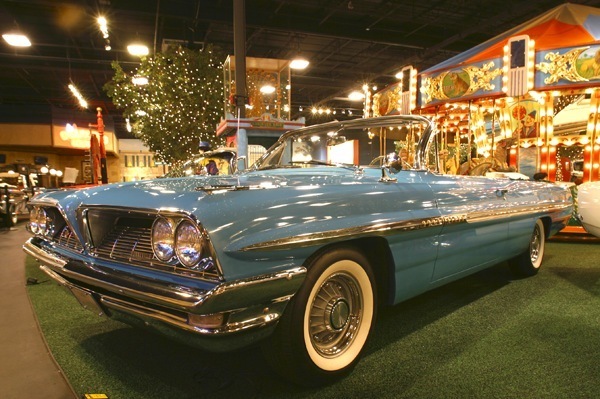 In its third year, the 1959 Bonneville became a full top-line series with the addition of the four-door hardtop sedan and Safari station wagon body styles. 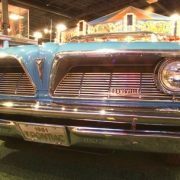 The Bonneville played an important part that year in the introduction of two of Pontiac’s greatest marketing inspirations – the split grille and the Wide Track slogan. 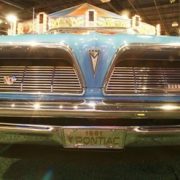 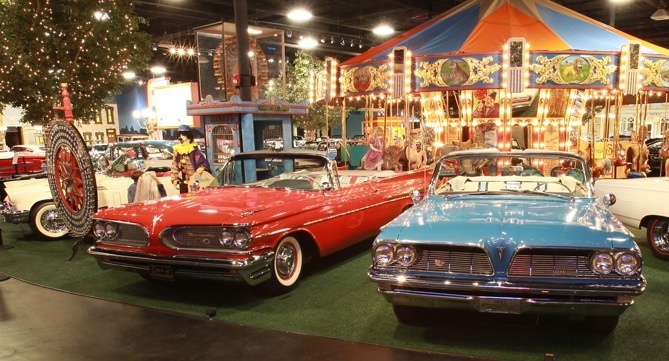 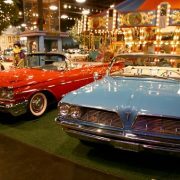 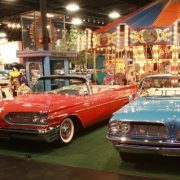 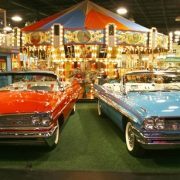 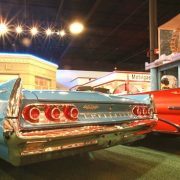 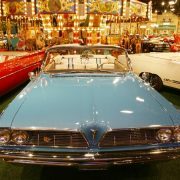 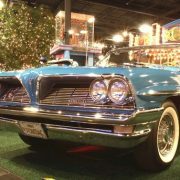 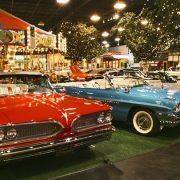 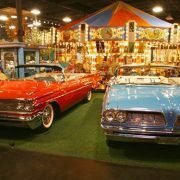 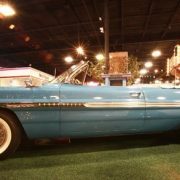 The latter was not just ad copy, either, as Pontiac pushed its wheels further out toward the fenders than anyone else and created what were considered to be the best-cornering full-size cars in the industry. 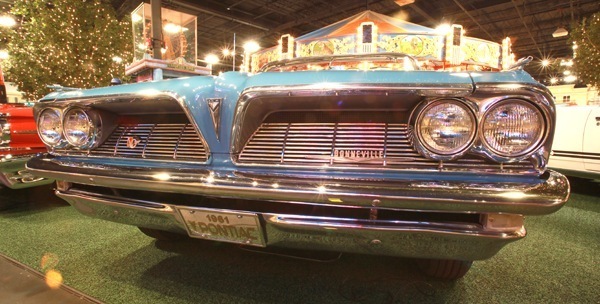 Both the grille design and the Wide Track phrase are still part of Pontiac’s image today. 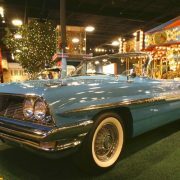 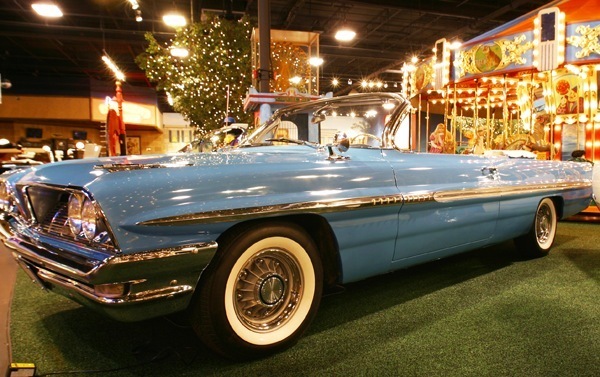 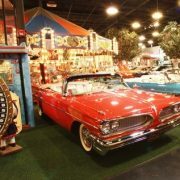 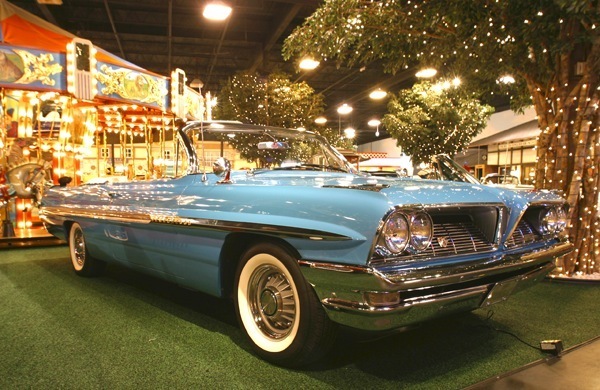 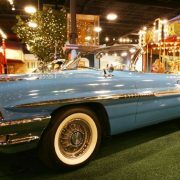 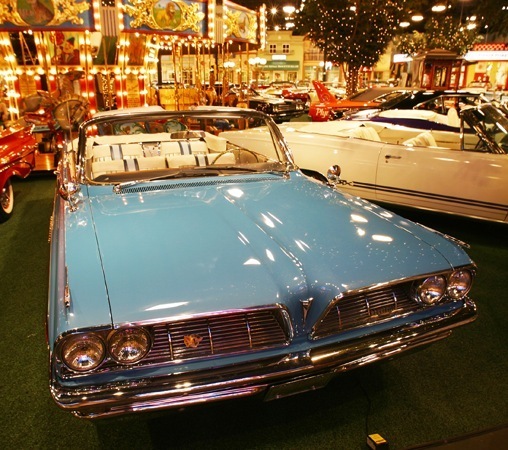 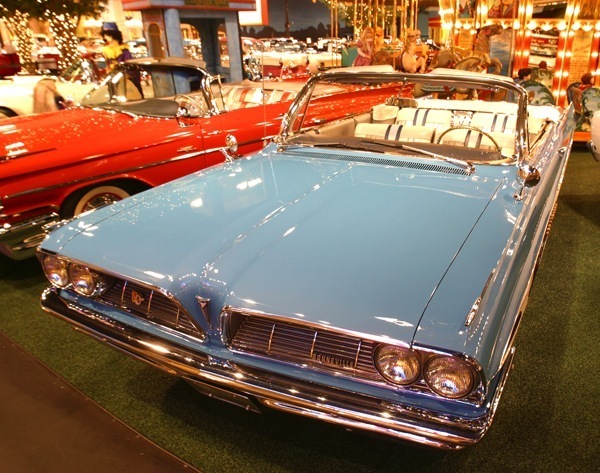 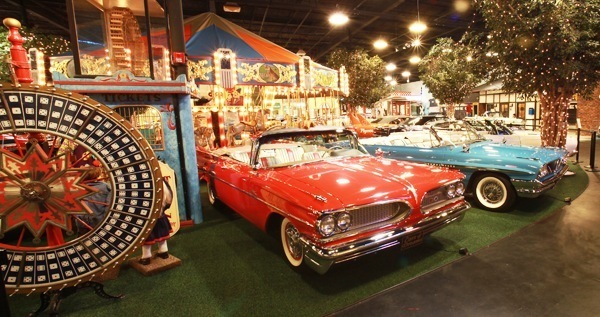 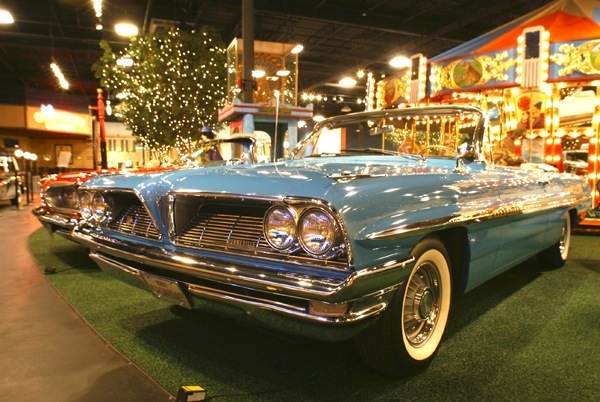 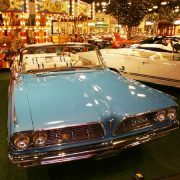 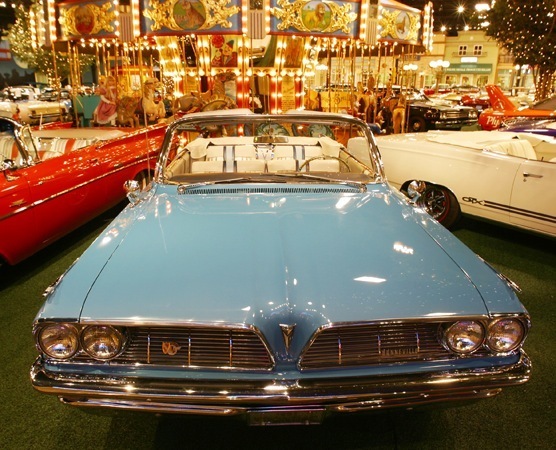 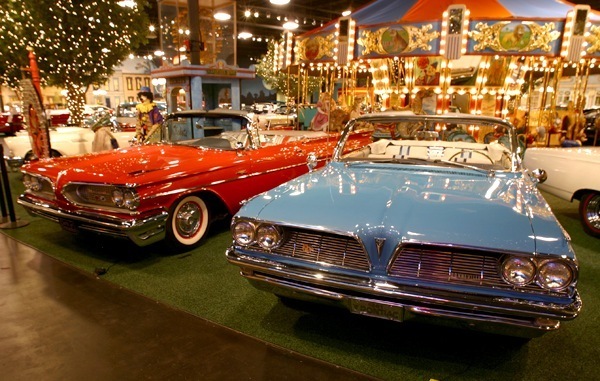 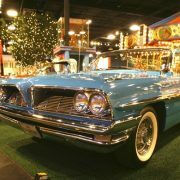 The Bonneville remained as Pontiac’s costliest and most luxurious model throughout the 1960s and was instrumental in pushing Pontiac to third place in sales from 1962 to 1970. 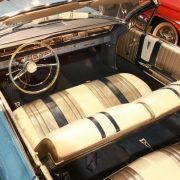 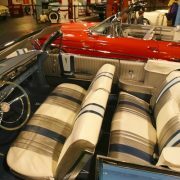 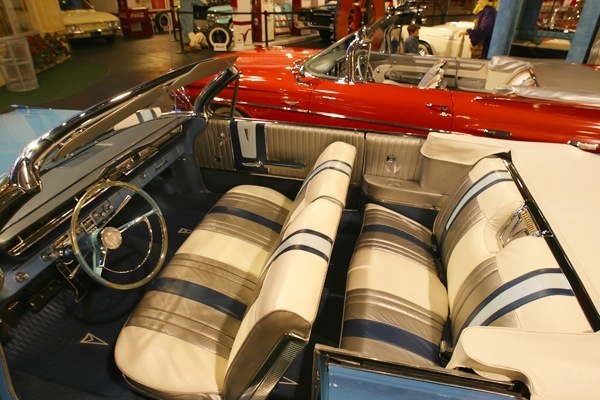 The Bonneville differed from their lesser Catalina and Star Chief counterparts by featuring more luxurious interior trims with upgraded cloth and Morrokide vinyl or expanded Morrokide upholstery in sedans and coupes, expanded Morrokide in Safari wagons or genuine leather seating in convertibles. 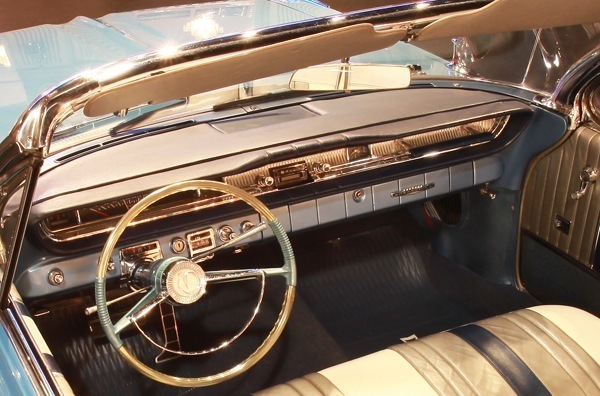 Also found in Bonnevilles were instrument panels and door panels with walnut veneer trim, carpeted lower door panels, grab bar on passenger side of dash and courtesy lights and rear arm rest. 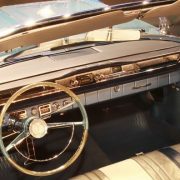 Beginning in 1964, a Bonneville Brougham option package was available that included even more luxurious interior trims with front and rear seats featuring center armrests, upgraded door panels and a standard Cordova (vinyl) roof with “Brougham” nameplates. 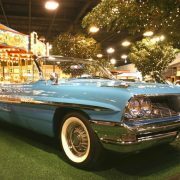 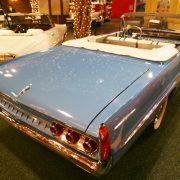 Bonneville models were standard equipped with Hydra-Matic (through 1964) or Turbo Hydra-Matic (1965-on) automatic transmissions. 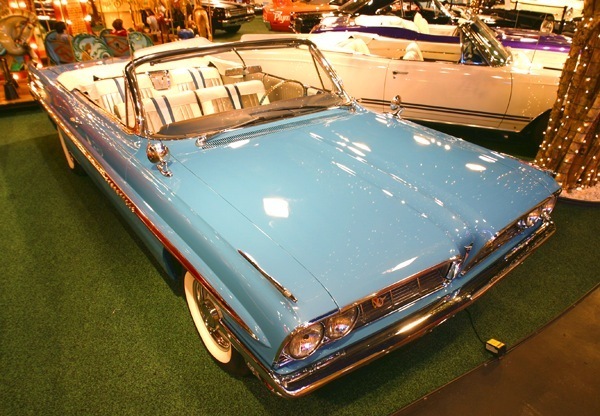 Other options included power steering and power brakes as well as air conditioning. 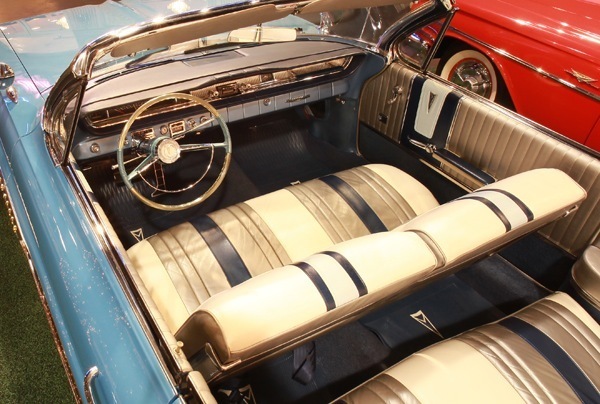 Other popular options included power windows, power seats, radio, cruise control, 8-lug aluminum wheels that included integral brake drums for improved stopping power. 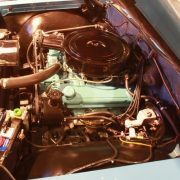 The Bonneville also had more powerful standard V8 engines than lesser full-sized Pontiacs including the 389 or 400 cubic inch V8s with four-barrel carburetors (power ratings of 303 to 340 hp (254 kW) depending on year) with many optional V8 offerings available including Tri Power (three two-barrel carburetion) options on both the 389 and 421 cubic inch V8s that offered up to 376 horsepower (280 kW) through 1966. 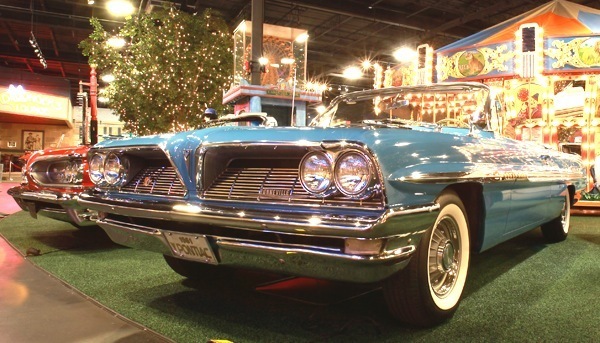 Pontiac fullsize performance reached its peak in 1966. 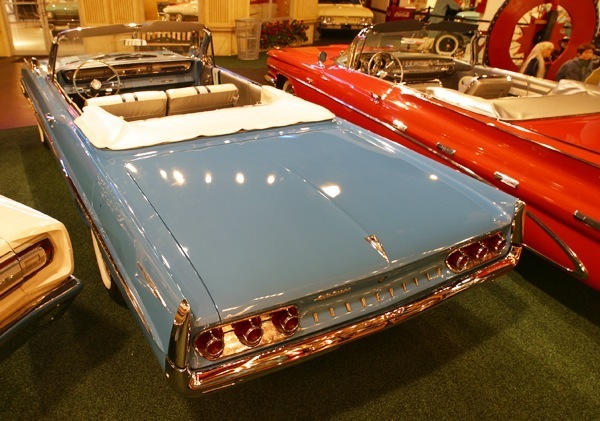 All fullsize models got new sheetmetal for 1963, including stacked headlights. 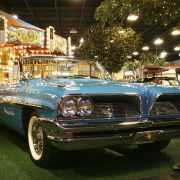 Performance enthusiasts once again turned to the Catalina, the lightest of the Pontiac full-size coupes. 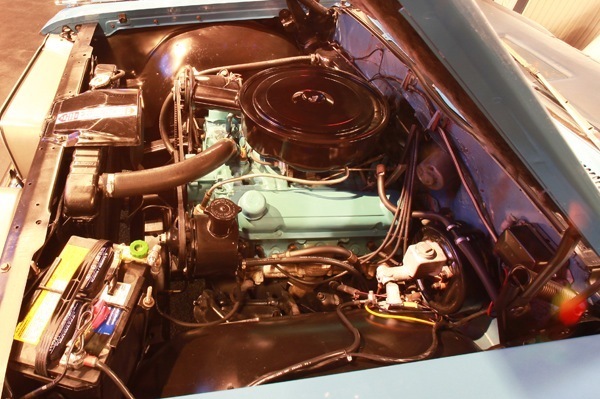 The standard engine was a 389 cid V8 with 283 bhp (211 kW). 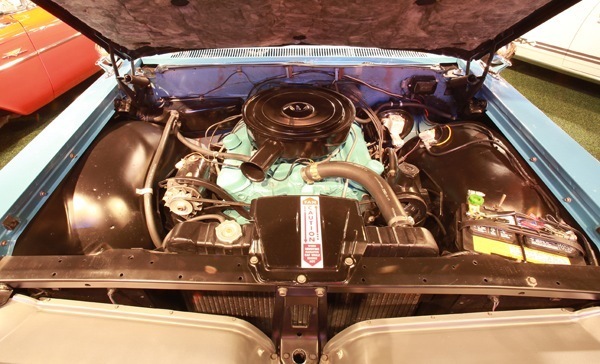 Next up were two 421s with 10.75:1 compression ratios: a four barrel with 353 bhp (263 kW) and the Trophy 421 HO (High Output) which sported triple Rochester two-barrel carburetors operated by a progressive throttle linkage and was rated at 370 bhp (280 kW). 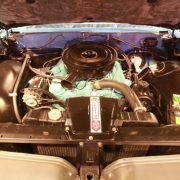 For serious drag strip use, buyers could specify the Super Duty 421 which came in three states of tune which all benefited from an increase in the compression ratio from 11.0:1 to 12.0:1 and an increase in the maximum shift point from 5900 rpm to a screaming 6400 rpm. 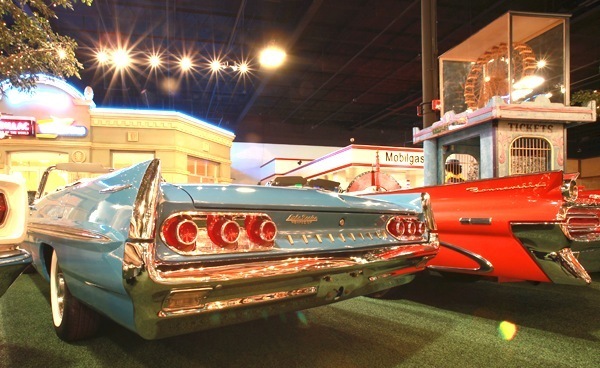 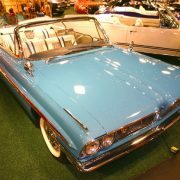 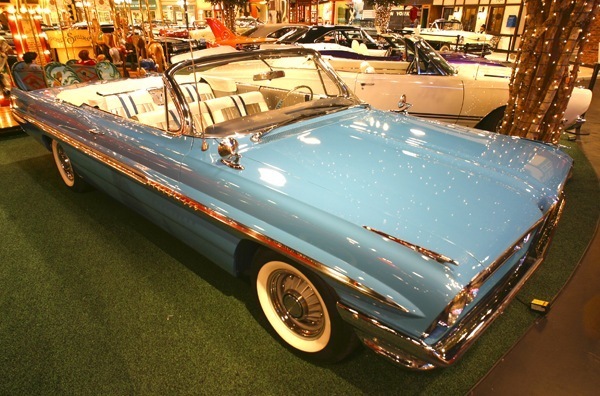 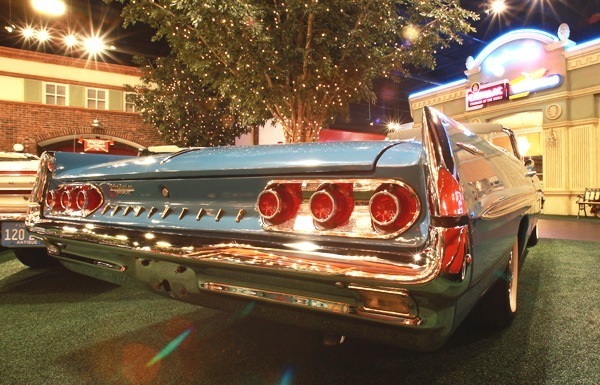 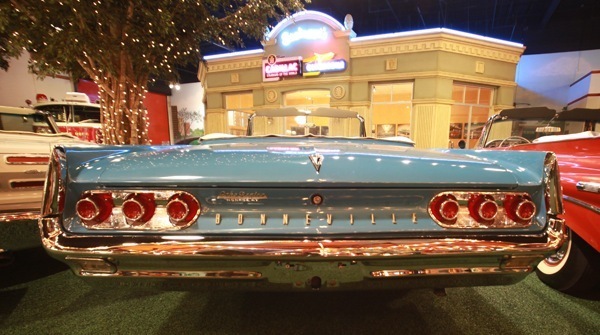 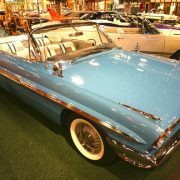 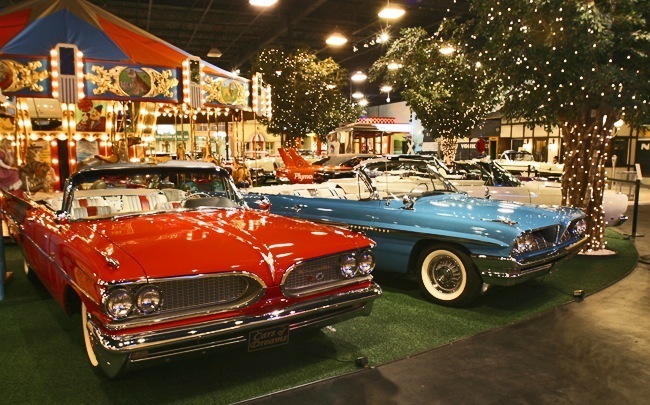 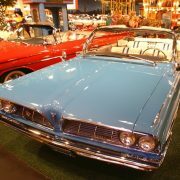 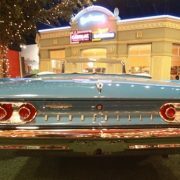 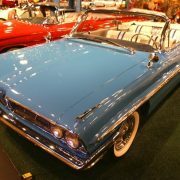 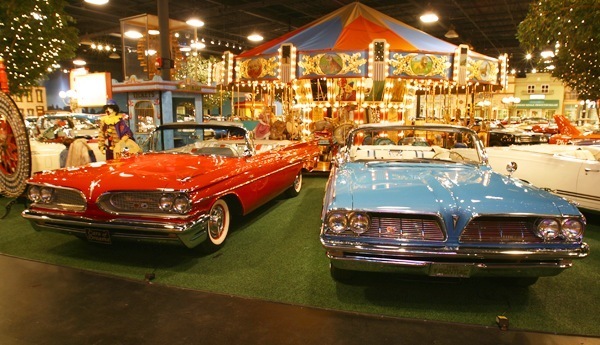 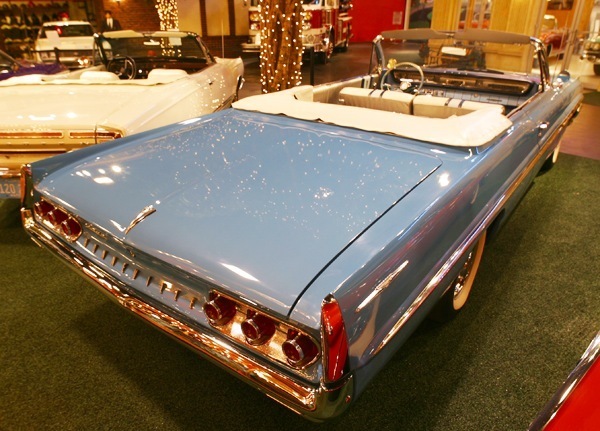 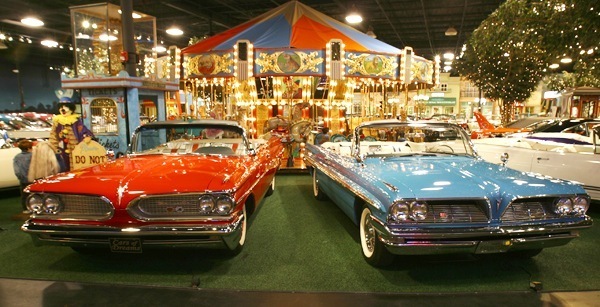 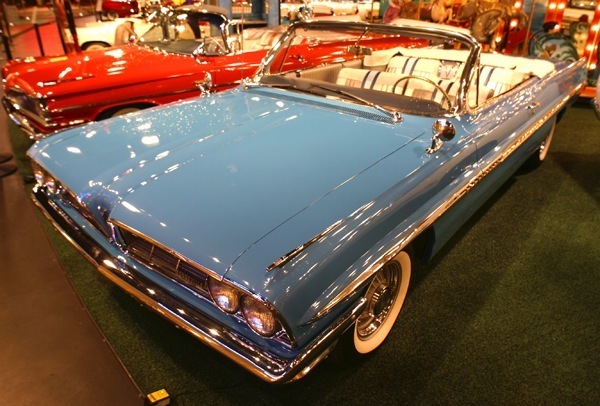 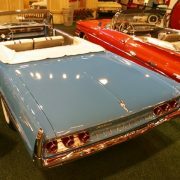 Straight-line ETs ruled the showrooms during the Musclecar era and the early Pontiacs had impressive numbers. 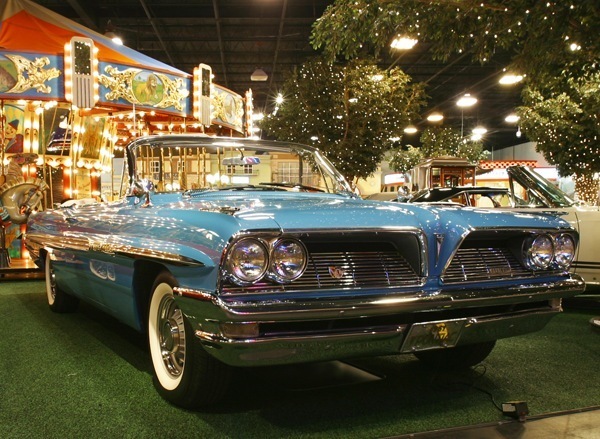 A General Motors corporate edict that took effect with the 1967 model year led Pontiac to discontinue the Tri Power engine options on all of its cars. 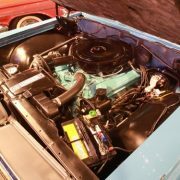 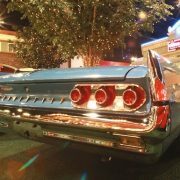 That year also brought a larger 400 cubic-inch V8 as the standard engine for Bonneville and other full-sized Pontiacs to replace the previous 389, while the 421 cubic inch V8 was replaced by a new 428 cubic-inch engine that offered as much as 390 horsepower (290 kW). 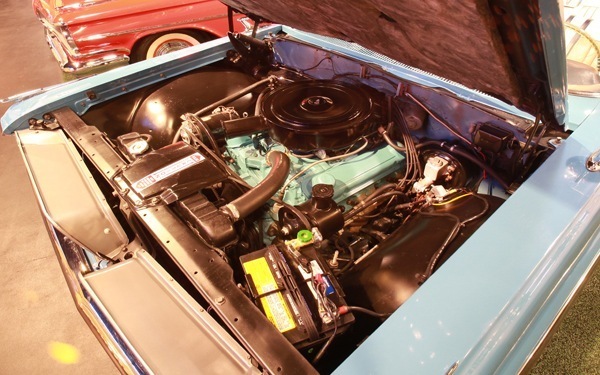 For 1969, a 360-horsepower 428 became the standard Bonneville engine, which in turn was replaced for 1970 by an even larger 455 cubic-inch V8 rated at 370 horsepower (280 kW).